Barbecuing on the go? 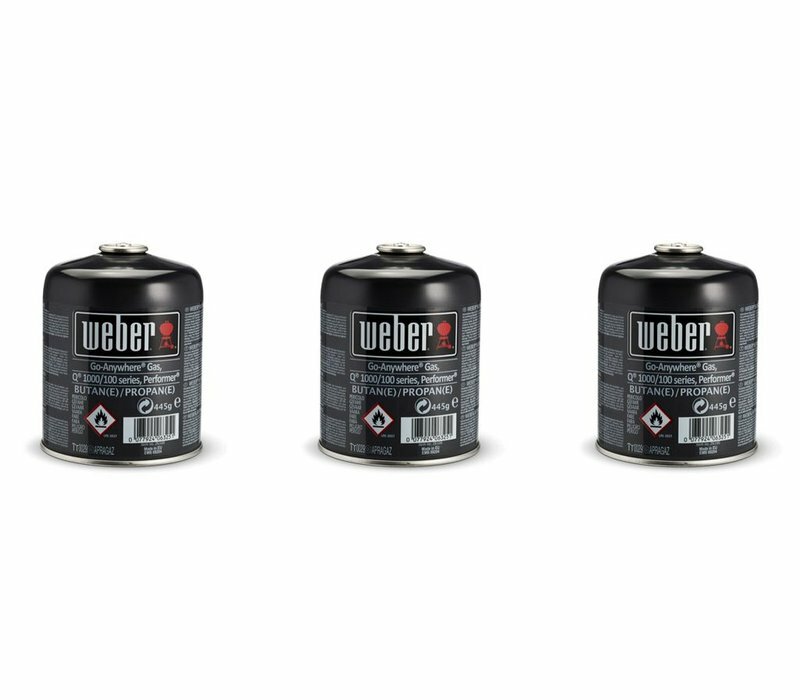 Be ready with the Weber Gas Canister Triple Pack. Each gas canister fuels about three hours of cooking. 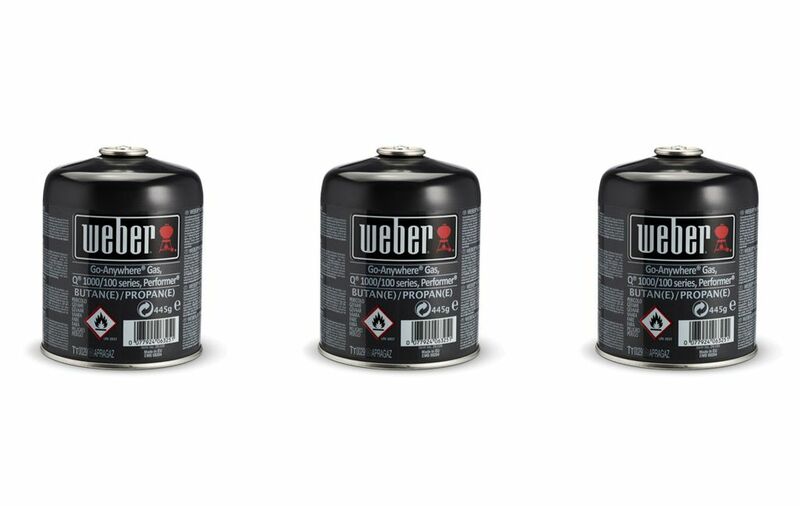 Fits: Weber® Q 100/1000 series, Performer Deluxe GBS, Go-Anywhere and Summit® Charcoal barbecues.